(Text automatically translated) Punta Leona is a family friendly resort, where our house is located. This park is located on the Pacific coast (west coast) 12 km north of Jaco and 60 minutes drive from the airport in San Jose. Punta Leona resort offers many amenities including several retaurants, 3 swimming pools, sports courts, supermarket and private medical service. The very special for this holiday is that there are two bays at sea with white sandy beaches, ideal for snorkeling, swimming and fishing. Our holiday in this park is for rent weekends, during the week, whole weeks. 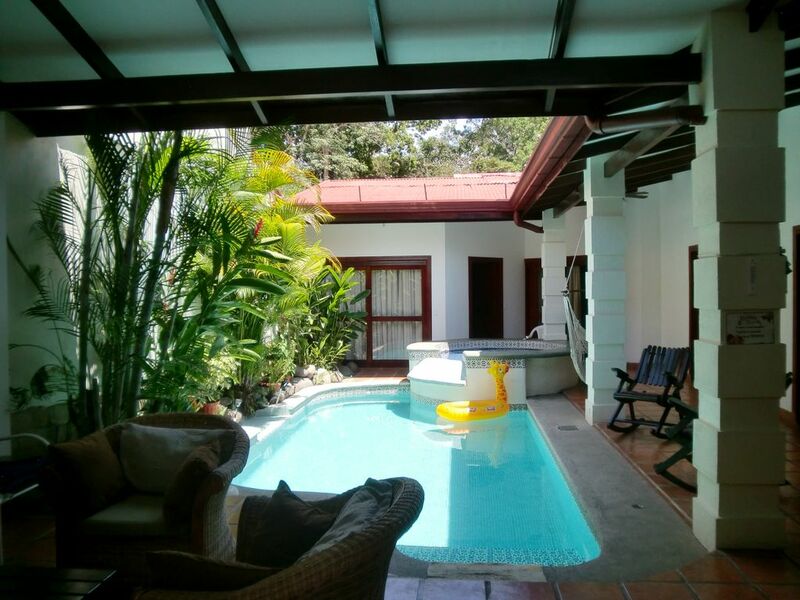 It is furnished for 6-8 people and has 3 air conditioned bedrooms, 2 bathrooms, Jacuzzi and private pool. The tenant has free access to all facilities at this park. The rent from us $ 100 per day depending on the time of year. (Text automatically translated) 90 minutes drive from San Jose. 12km north of Jaco.